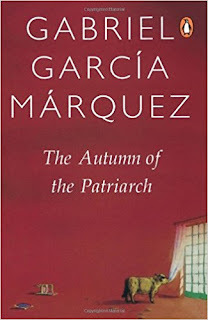 One Hundred Years of Solitude is one of my favourite books and as a result, it goes without saying that I would be inclined to try out another equally famous work of Gabriel García Márquez, being The Autumn of the Patriarch. The author having lived under several dictatorial regimes himself, be it Venezuela, Spain under Franco and his own native Colombia; it was only natural for him to write a book based on a dictator. This book is based in a fictitious Caribbean country, where a tyrannical dictator has been ruling ‘for eternity’ that people have even forgotten his age. 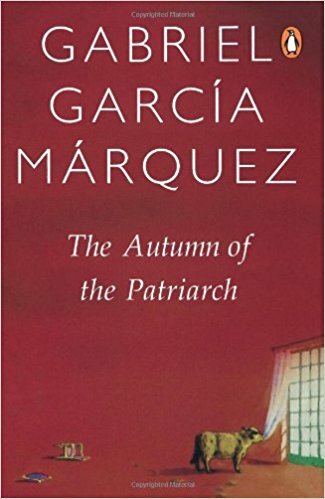 The book is split into six chapters and similar to One Hundred Years of Solitude, the chapters are neither named nor numbered. In fact, it goes to an extent where there are even no paragraph splits in a chapter (each of which is roughly forty pages). The sentences that the author constructed is so complex, which is entirely in indirect speech and is long winding, often a single sentence extending up to four pages. The book focused on how, despite his tyranny, his subjects held him in very high regard. He also had a lot of features true of many dictators, wherein, he had an effective propaganda machine, had a very high level of insecurity that he kept a body double for his safety, executes dissenters, provides asylum to all former dictators and disgraced leaders in his country (similar to Gaddafi), etc. The book also talks about the loneliness he feels, his only known relative is his mother, whom he supports and eventually, bestows sainthood. It also reiterates the loneliness he feels, despite fathering many children and the concubines whose company he enjoys. More so, it deals with the devastation he faces when his wife and legitimate child is killed which makes him go on a frenzy executing generals believed to be involved in a conspiracy. While reading the book, I could connect what the author was saying with a lot of real life dictators, the eternal president and the effective propaganda machine – something that the Kim family does very effectively in North Korea, the curbing of dissent with most dictatorial regimes, the killing of children, and of course, bestowing powerful military titles on children of influential people, including his own. But with that said, the author could have brought all this out in a much nicer and ‘reader friendly’ manner. The start of each of the chapter has the same premise, the absolute dictator, and usually, the end is his downfall caused by the systems he created himself, which became repetitive beyond the third chapter I read. Moreover, the contents that he conveyed on several occasions was a simple one liner which extends to three pages in the author’s manner of expression. This highly discouraged me from reading the book. I understood from the testimonials that the book had received that this is a book that is better enjoyed when it is read the second time. But till I do that, I would say that the book did not create a strong first impression and my expectations from the author is quite high considering my prior experience with his works. So, till I read it for a second time, if ever I do, the rating that book receives is a four on ten.